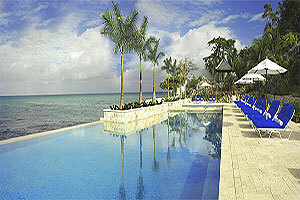 The Round Hill Hotel And Villas In Jamaica Is A Sanctuary Of Low-key Luxury And Timeless Glamour. With Lush Gardens, Secluded Golden Beaches And An Exceptional Staff, Round Hill Has Attracted American And European Socialites For Decades. Condé Nast Traveler Magazine Gold List Recently Recognized The Resort For Consistently Striving For Excellence, Awarding The Second-highest Rating For Any Caribbean Resort. The Spa At Round Hill Is Located In A Beautifully Restored 18th-century Plantation House On Ten Acres Of Beachfront Lawn. The Facilities Include An Indoor And Outdoor Fitness Center, Full-service Beauty Salon, Seven Body Treatment Rooms As Well As An Outdoor Treatment Area, Set Amidst Abundant Gardens. The Waterfront Lawn Is Used For Afternoon Yoga Classes Or Massages By The Sea. Dining At Round Hill Is Unparalleled, As World-class Chefs Prepare Complex And Varied Entrees With The Finest Ingredients And Artistically Elaborate Presentations. Other Unique Resort Features Include Meeting And Event Facilities, Kids' Club, Custom Wedding Accommodations And Nightly Entertainment.